There are two kinds of books out this year of special interest. There is a plethora of books that expose the evil underpinnings of the white supremacist meritocratic oligarchic patriarchy. And, there is a growing collection of books about the last time America was going under for the third time, and the people of those times. Here is a selection for you to ponder. 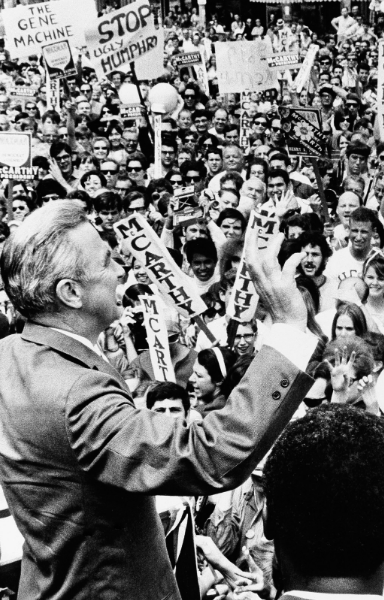 Playing with Fire: The 1968 Election and the Transformation of American Politics by Lawrence O’Donnell. Democracy in Chains: The Deep History of the Radical Right’s Stealth Plan for America by Nancy MacLean is a book much hated by the right wing, and that is very much under attack by them, so it is a fair guess that MacLean is on to something. The enemy in this particular story is not Barry Goldwater, or the Koch Brothers, but rather economics James McGill Buchanan. Of course, Charles Koch ends up being a disciple of Buchannan’s approach, ad do others. And that is where the money comes from. MacLean’s key point is that this is not a battle of who rules, but rather, what the rules are, and the key objective is to rewrite those rules so the wealthy elite can, well, rule. MacLean’s book has shaken up quite a bit of thinking on Buchanan. The book’s thesis is based on documents not previously examined, that are part of the Buchanan archives. Liberarian activists have complained at length about MacLean’s scholarship and arguments. Democracy in Chains might be an insighful analysis using a fresh examination of previously ignored documents. Many of the attacks on the author and the book have been personal, similar to attacks on, say, evolutionary biologists or climate change scientists. Her Amazon page was covered with negative reviews clearly from people who never read the book, probably organized by the right wing. She was called a rabid feminazi, pathological socialist, etc. …look, Buchanan was a gentleman, generous and kind with students and colleagues who shared his commitments and was well-liked by them in return. And I’m getting the sense from the complaints of movement insiders that they view the book as disrespectful to heroes of the cause. So it’s perhaps important for everyone to understand that I did not set out to critique Buchanan or other libertarians as human beings. I was not writing a biography or biographies. I was looking at these scholars’ ideas and tracing the impact of those ideas. This is a group that has been insular since its founding. Now its members are confronted with an outsider’s view of their history. And they don’t like what they’re seeing in the mirror Democracy in Chains puts up to them. You should just go read it. Also read Dark Money: The Hidden History of the Billionaires Behind the Rise of the Radical Right by Jane Mayer. Also consider having a look at Hillary Clinton’s book. MacLean is making stuff up about Buchanan. She was nominated for the National Book Award by liberals that liked the theme, but then was denied the prize as these liberals became aware of all the errors. What exactly did she make up? And, are you a simple low level everday sadist? When Chris Matthews published his book on JFK, he was plugging it everyday on MSNBC and then suddenly stopped when a story came out about one of his interns that he abused. 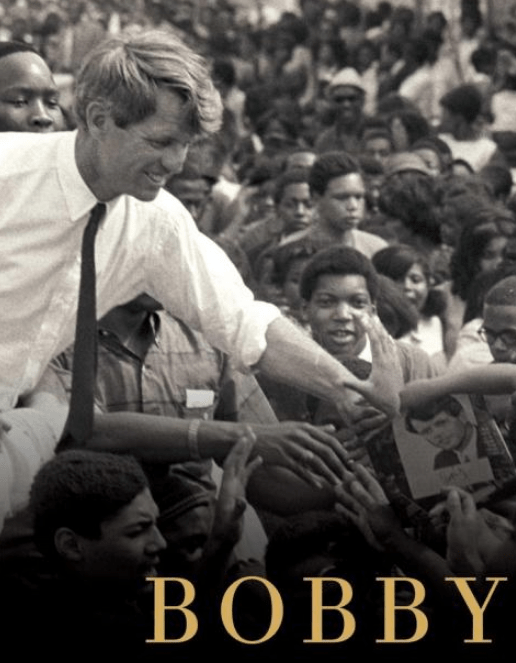 I wonder if something will come out now about RFK.